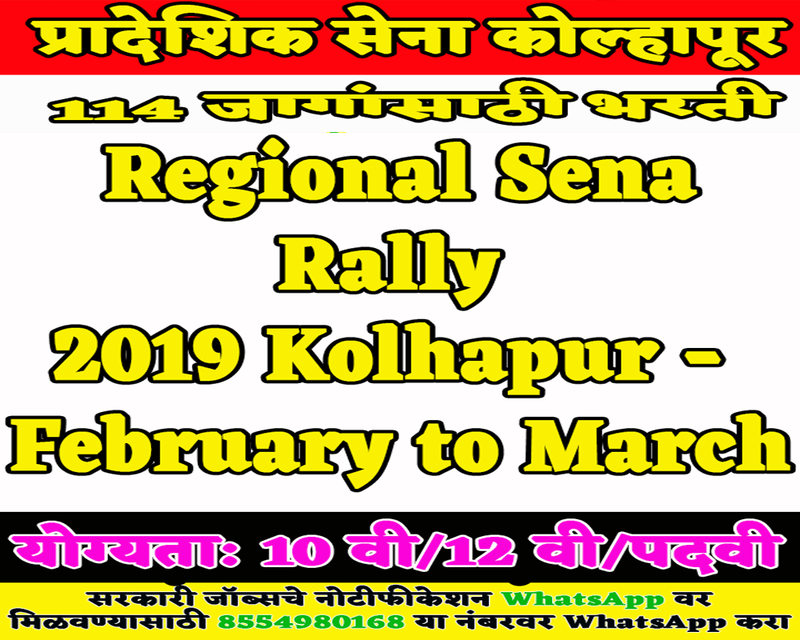 Here is the official notification regarding an open rally/recruitment rally of Regional Army Rally 2019 Kolhapur - February to March. Interested & eligible candidates who wants to join this rally attend the venue on below given address 25 February 2019 to 02 March 2019. For more details like age limit, salary, how to apply, selection process please refer the below article. Hiring organization:- 109 Infantry Battalion (TA) MARATHA LI. The minimum age limit for this post is 18 years & maximum age limit 42 years. 2. Soldier Clerk:- 12th with average 50% marks with 40% marks in each subject. Priority will be given to Computer and Typing. 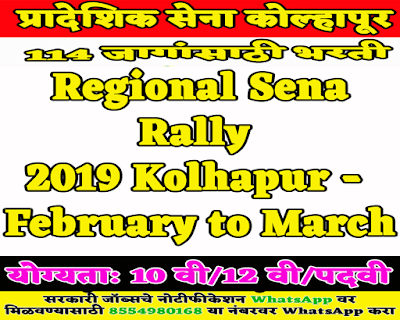 Candidates who wants to apply this Regional Army Rally 2019 Kolhapur recruitment need join venue on above given address from 25 February 2019 to 02 March 2019.